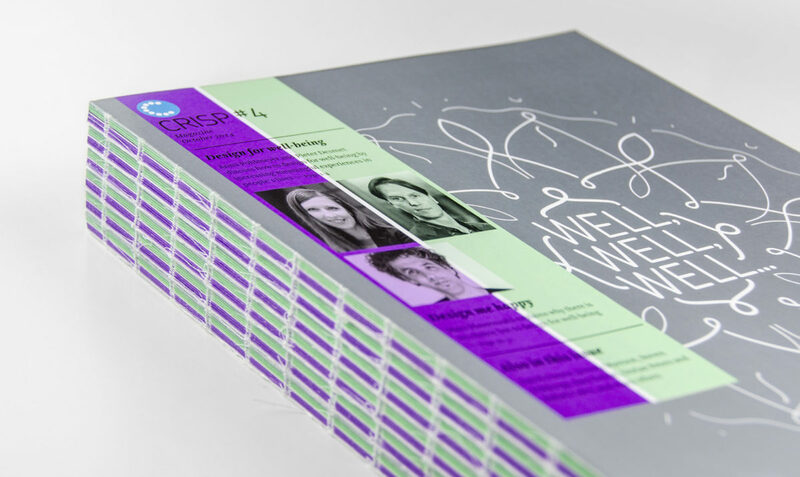 How do you wrap up results that form a new start? 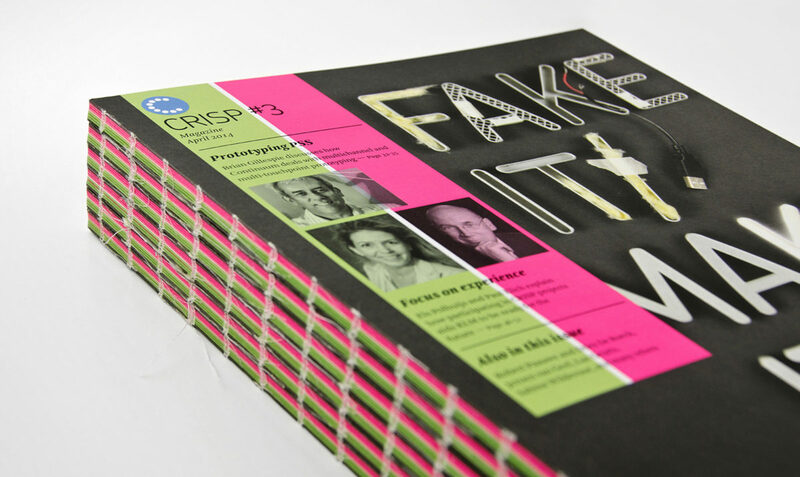 CRISP Platform is a cooperation between researchers and designers from a variety of companies and educational institutes in the creative field. 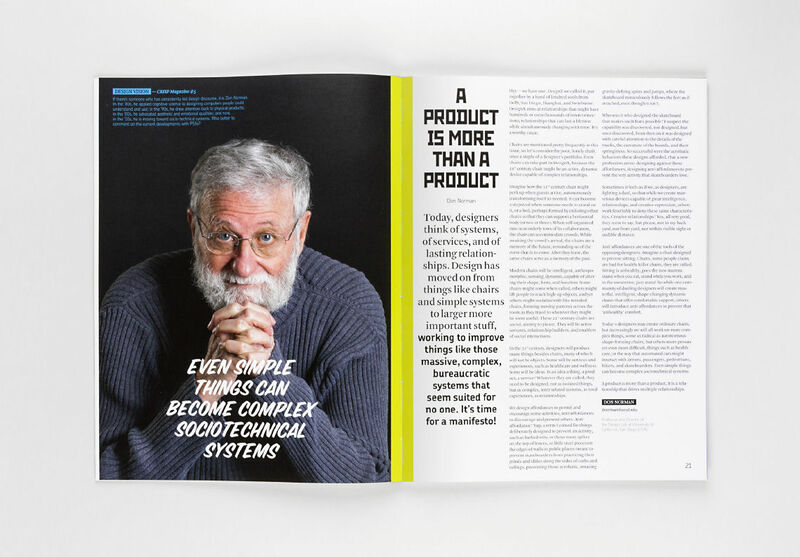 Eight innovative projects extend the scope of design to Product Service Systems. 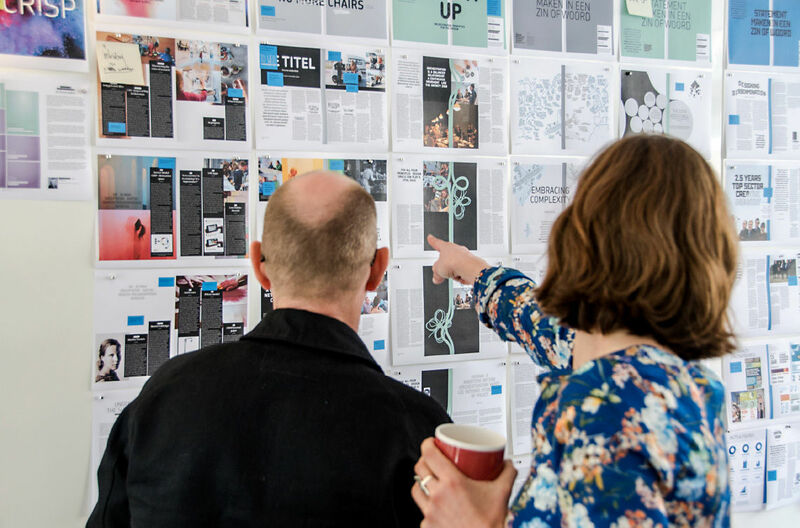 Designers learn about research and how it can be applied, researchers learn about design practice and how to align their research with industry objectives. 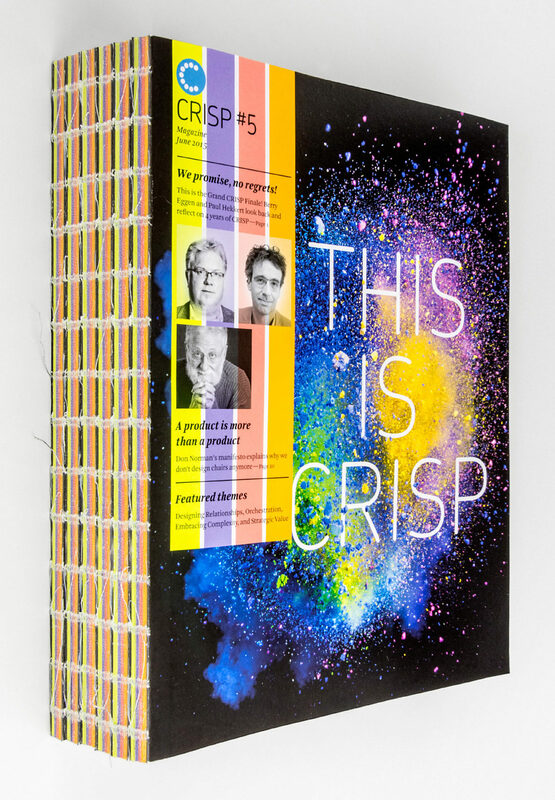 CRISP is an excellent example of how science, the creative industry, and companies can work together to achieve meaningful innovation. 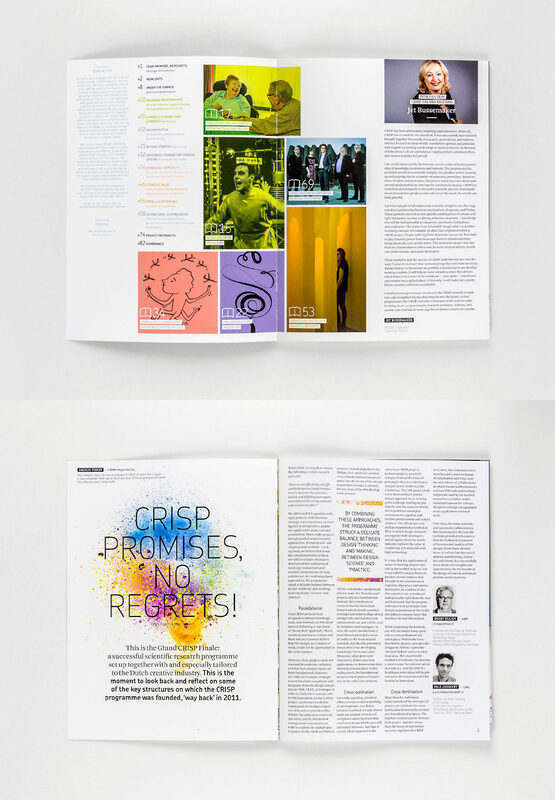 Taken By Storm designed all five issues of CRISP magazine. 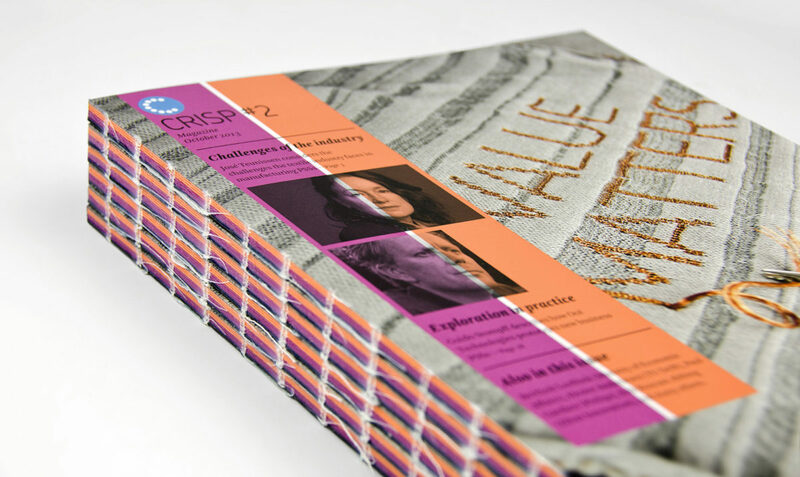 The final extra-packed edition features four years’ worth of results but also reflects critically on their value for the future: what works, what doesn’t, what requires more study and how can methodologies be applied in practice? 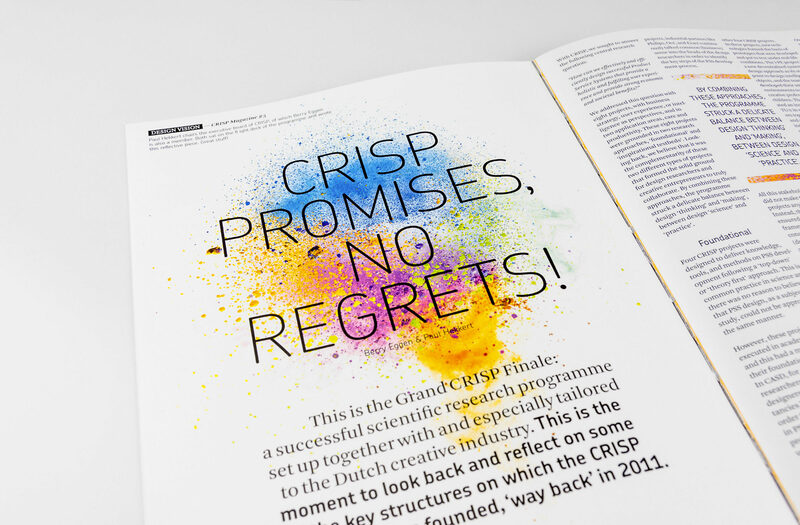 The warm response from government, industry and the creative sector fuelled the prolongation of the individual projects: CRISP is done, the creative industry has just begun. 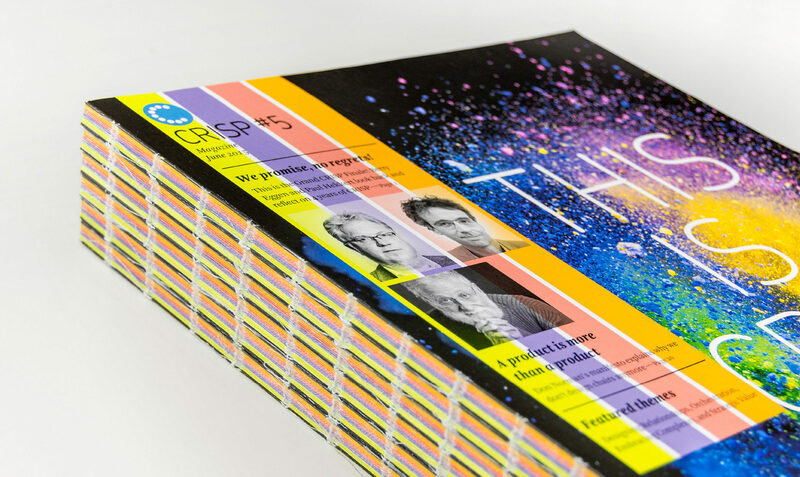 Color bursts right off the cover: we wrapped up the series with a (literal) bang, a simultaneous start signal for the next stretch. 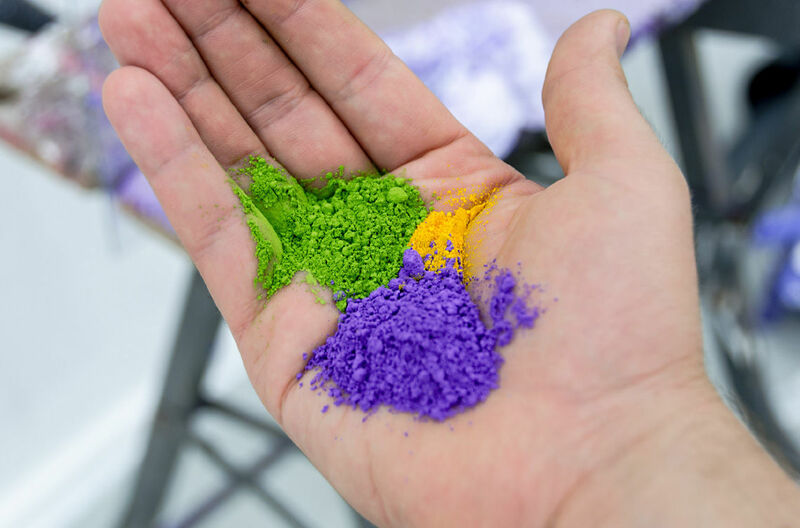 The photo was made in close collaboration with Rutger Prins. 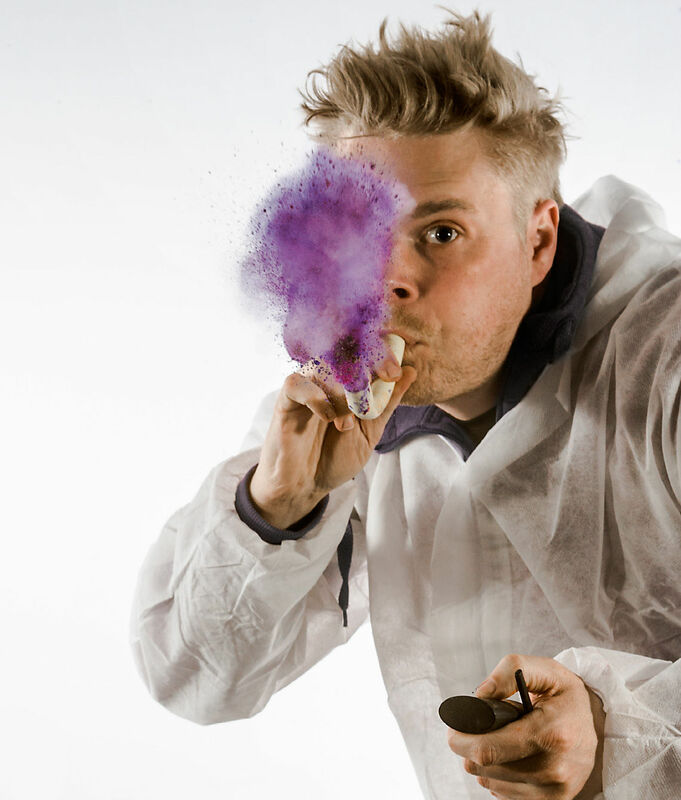 He shot the explosion of pigment powder with high speed flash photography. 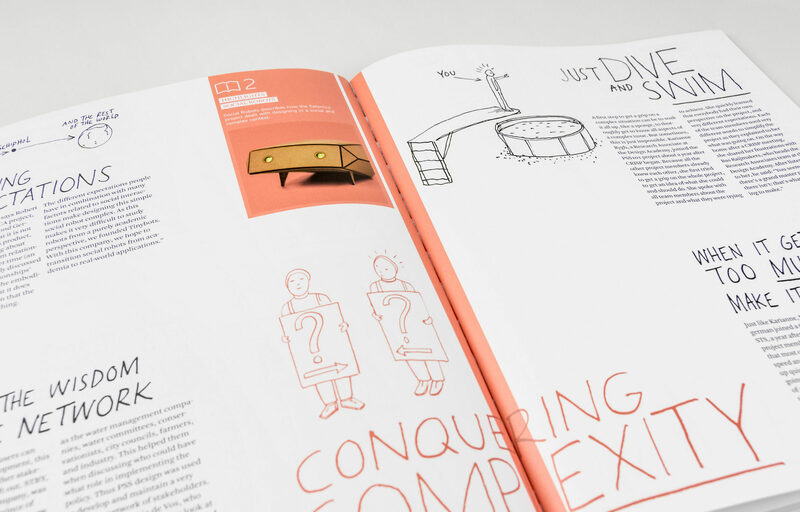 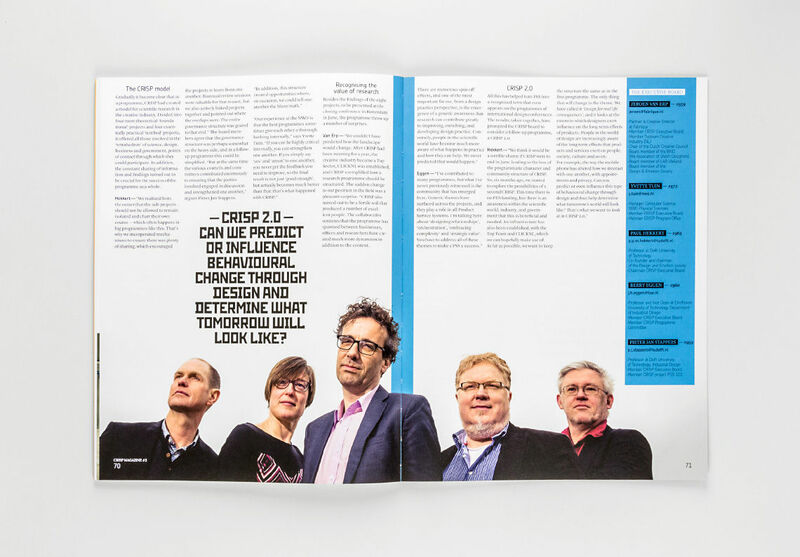 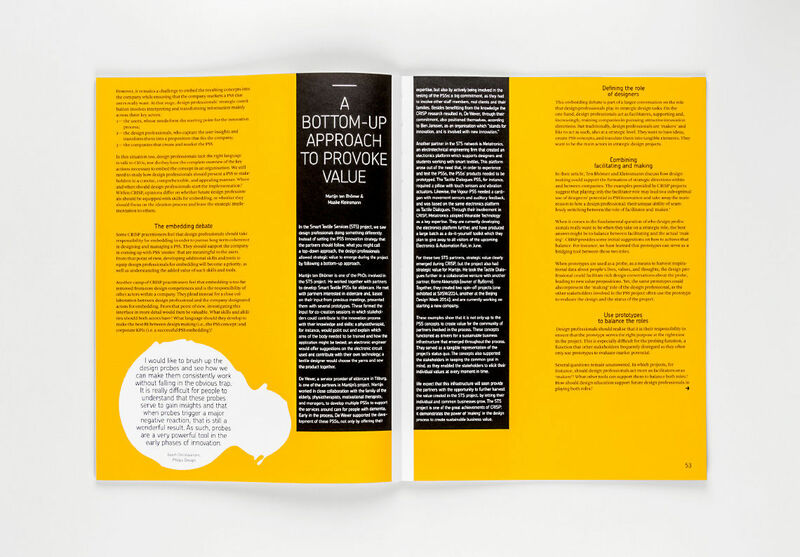 CRISP Magazine brings the insights of the projects into a tangible product, to stimulate over 200 project members during the CRISP initiative. 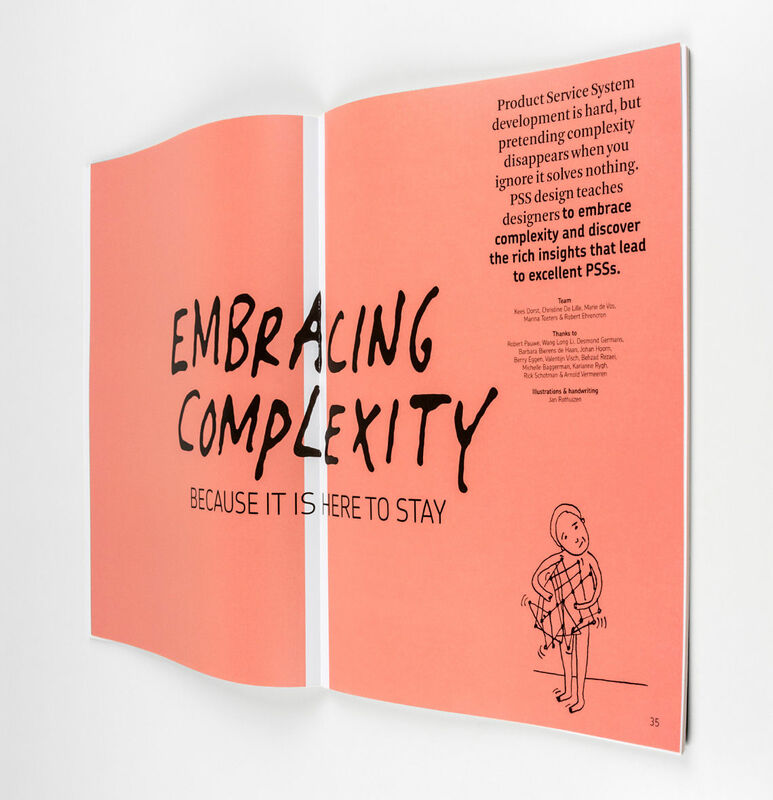 We co-created the magazine with the editorial team, working side by side to untangle complex information into a legible, natural flow. 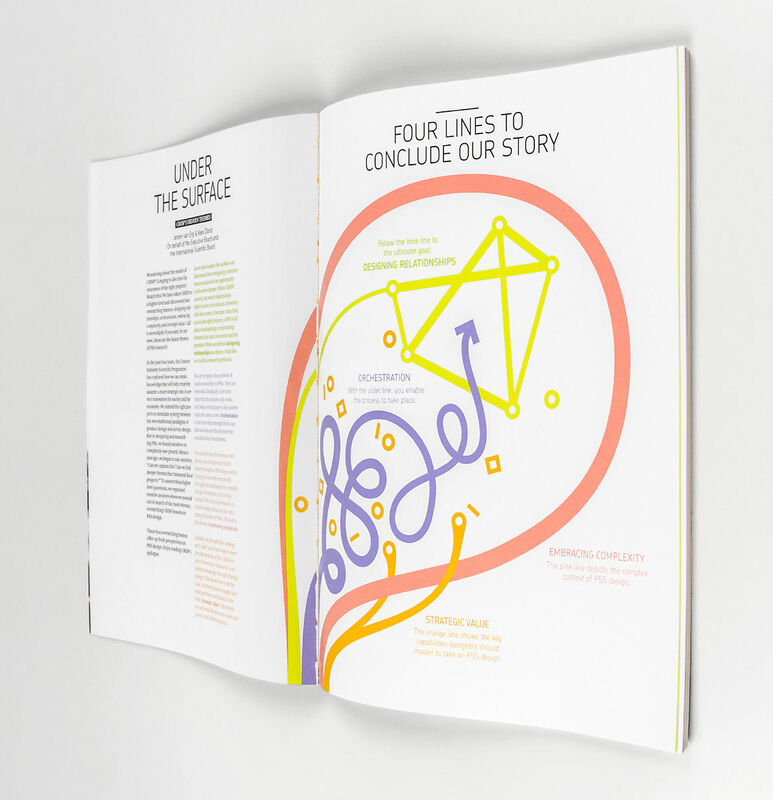 Two layers of information are coded with distinctive colors, and projects cross-references help to find similar stories. 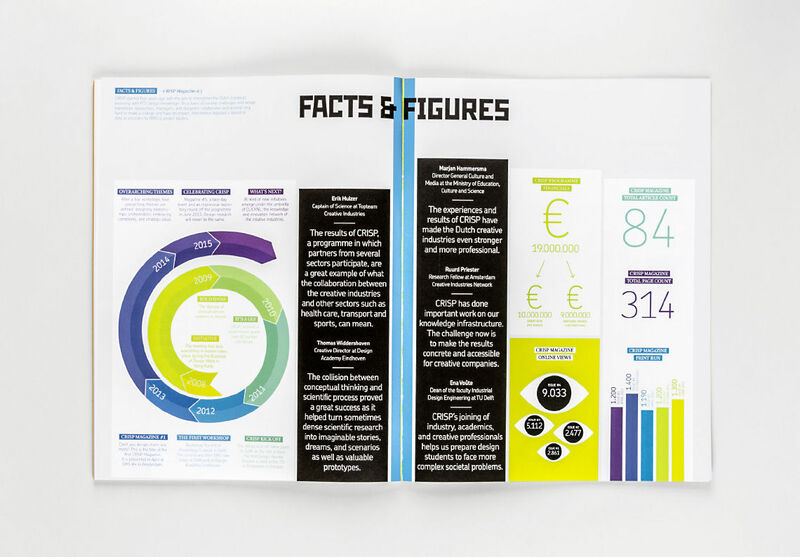 Illustrator Jan Rothuizen’s secret wish was always to have an airport in his portfolio. 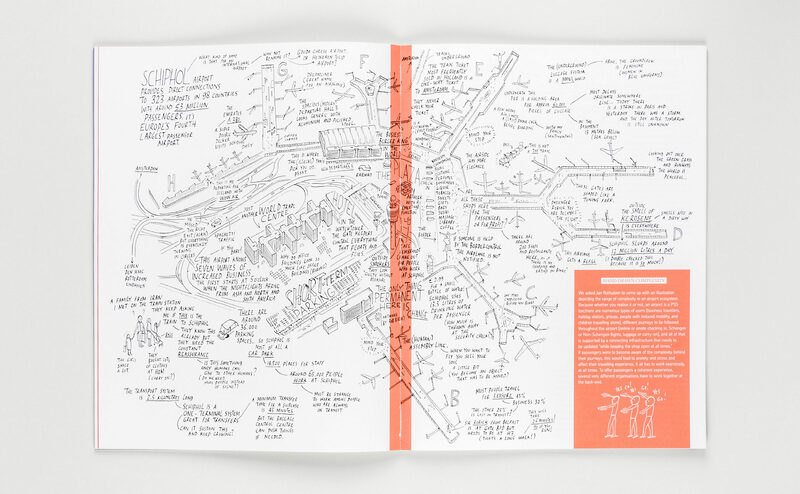 His scribbled lines perfectly portray the swarming multifold of airport activity and the challenges that abound there. 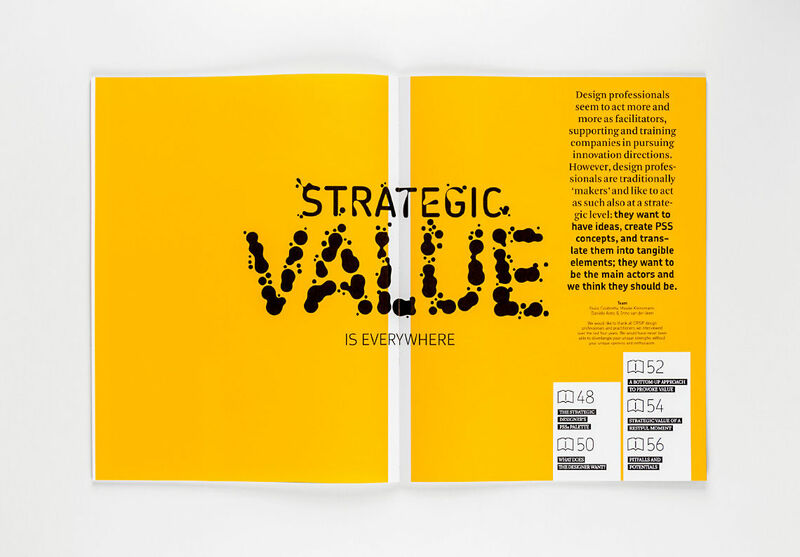 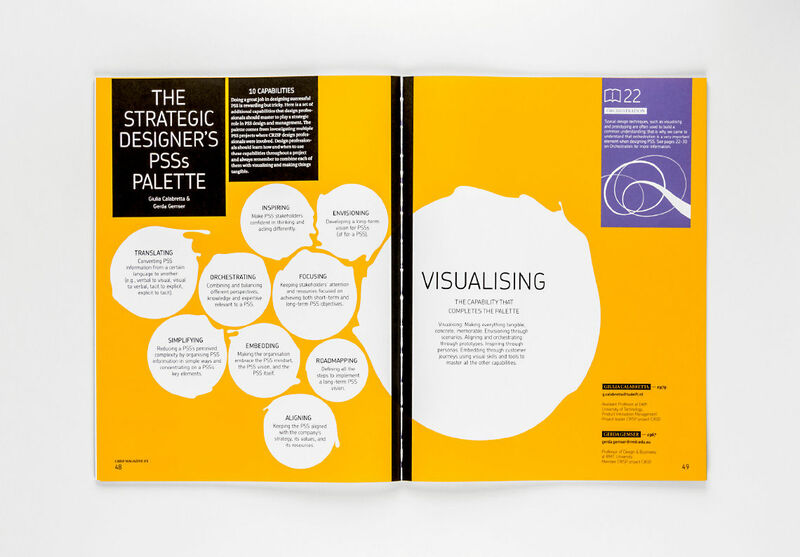 For each of the four themes Taken By Storm developed a visualisation that pleases both visually and cognitively: each graphic plays an important role in portraying the theme’s approach and value. 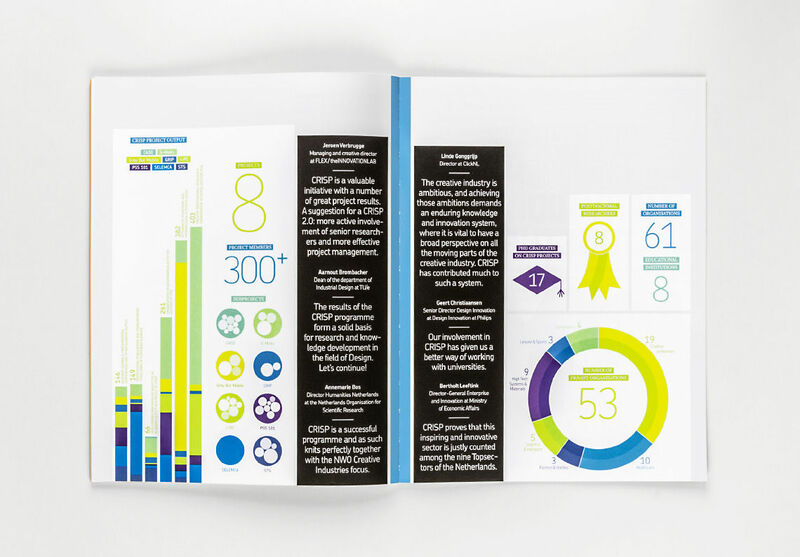 One of the advantages to four years of work with 300+ project members is the sheer numbers in the results. 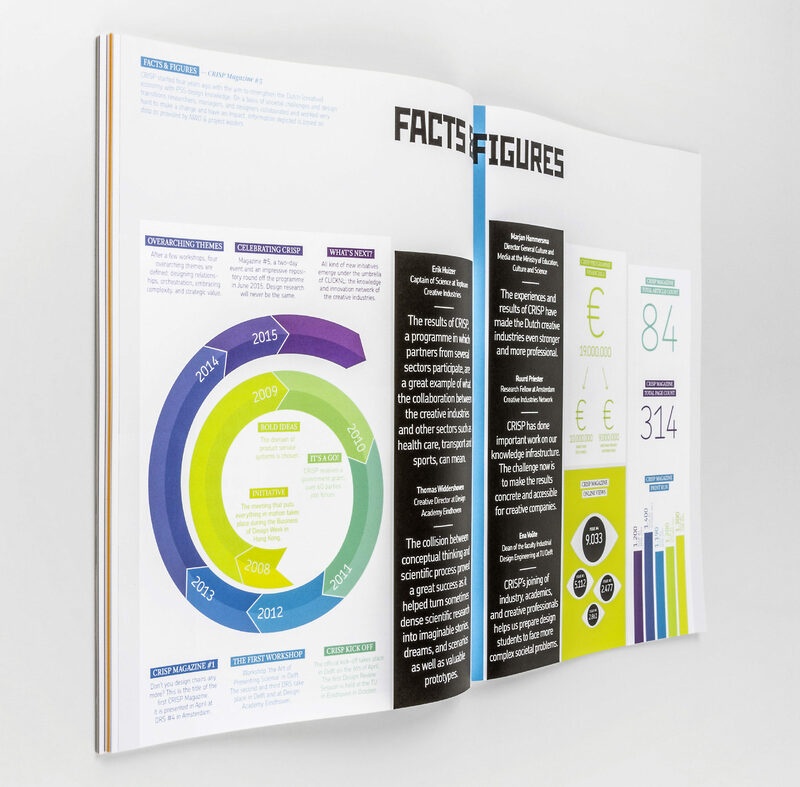 Numbers which provide rewarding input for visualising information. 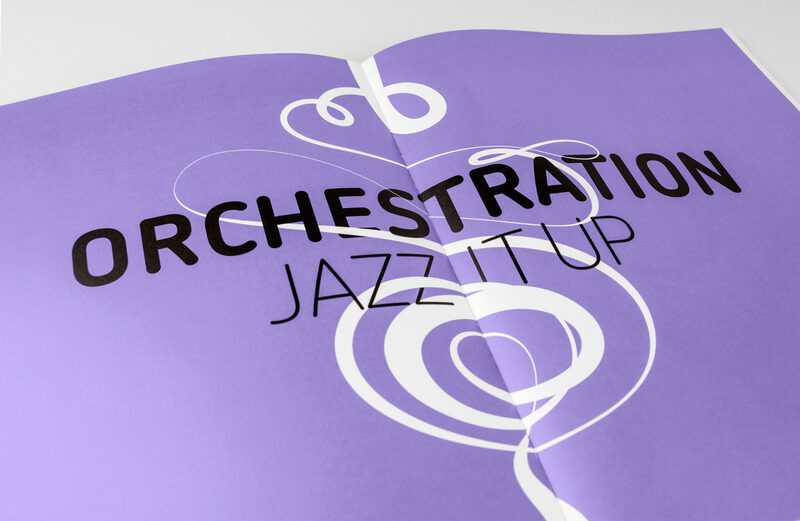 Jazz also requires a high degree of craftsmanship and technique, while the result can feel extremely loose. 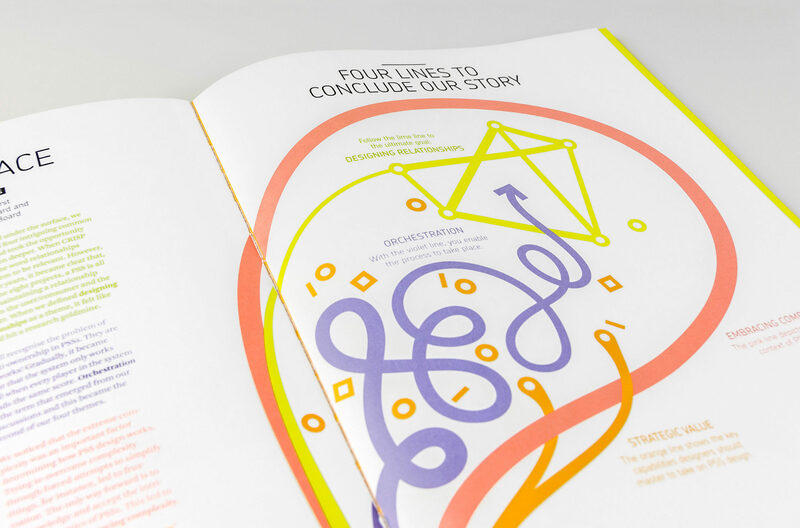 Storm at the studio — Working as one big editorial team to bring content and form together. 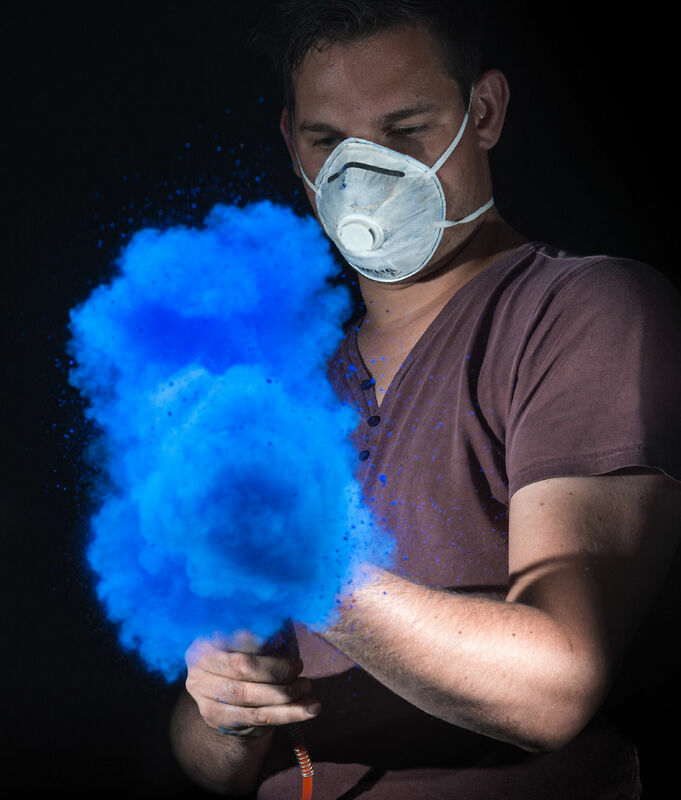 The genie out of the bottle — Cover photo in progress with high pressure air system, loads of holi powder, and the magic of visual artist Rutger Prins. 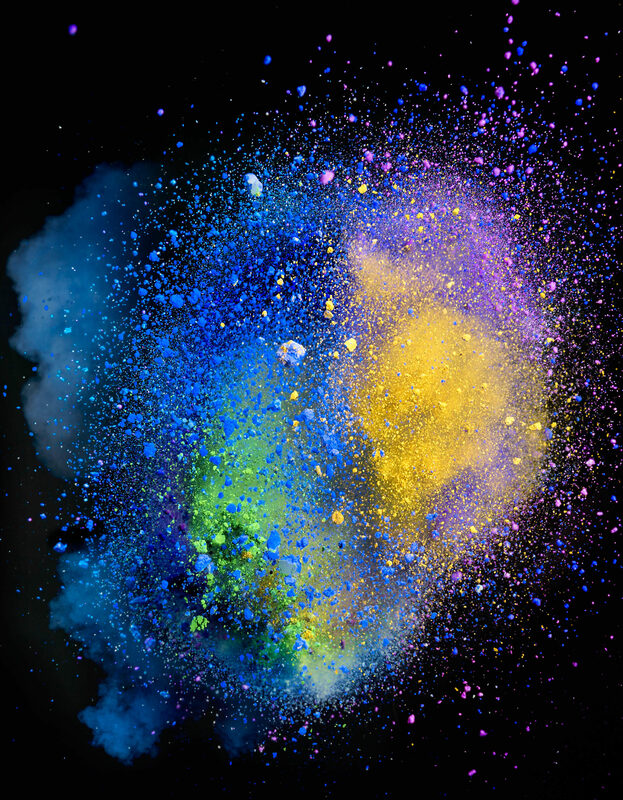 Rutger Prins shot the explosion of pigment powder with high speed flash photography. 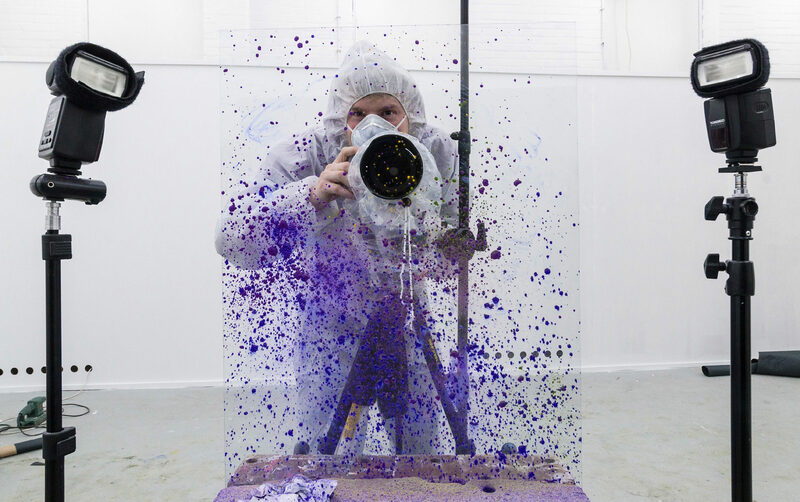 Rutger’s studio is set up to make explosive shots, that by their nature require a lot of clean up.